The second day of the NAP Expo transitioned into adaptation assessments for underpinning the formulation of National Adaptation Plans (NAPs), linkages of adaptation with development, country experiences in the formulation of NAPs and in building lasting processes at the national levels. 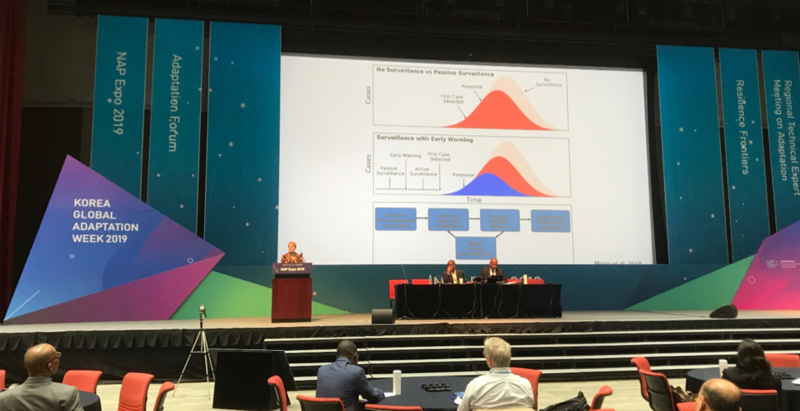 It featured three keynotes on health adaptation to climate change, Pacific marine fisheries, and on using artificial intelligence for economic vulnerability assessment to enable human-centric adaptation planning and implementation. The day also included key sessions on accessing funding from the Green Climate Fund (GCF) for the formulation and implementation of NAPs in line with the mandate from Parties for the GCF to expedite access for developing countries. These sessions also respond to the request by the Conference of the Parties for the LDC Expert Group (LEG) to include sessions, to be conducted by the GCF secretariat at the NAP Expo, on accessing funding from the GCF for the formulation and implementation of NAPs. With the application of the integrative framework for NAPs and SDGs, governments can be able to apply sectors as effective entry points for adaptation assessments and eventual design and implementation of adaptation programmes. Sectors can provide measures and specific targets for main development themes such as food and water security, health and nutrition, and energy security in line with country-specific development-centered national goals and targets. Prof. Kristie Ebi, Director of the Center for Health and the Global Environment at the University of Washington, looked into the preparations needed for health systems in its ability to manage multiple concurrent and synergistic climate-related exposures outside of the range of historic experiences. Health systems that are already struggling to manage current health risks, such as those in many low- and middle- income countries, are further challenged by extreme weather and climate events. The focus of adaptation in the health sector needs to progress from promoting population health and strengthening risk management in health systems to one that looks at an extended time horizon for decisions – decisions that explicitly consider impacts on population health and systems of increasing shocks and stresses associated with the increases in frequency and intensity of extreme events and shifting vulnerabilities. Another case in point is the food security benefits that Pacific Island people have traditionally benefitted from coastal fisheries. Prof. Johann Bell, Senior Director of the Pacific Tuna Fisheries at Conservation International and a visiting Professorial Fellow at the Australian National Centre for Ocean Resources and Security at the University of Wollongong in Australia. 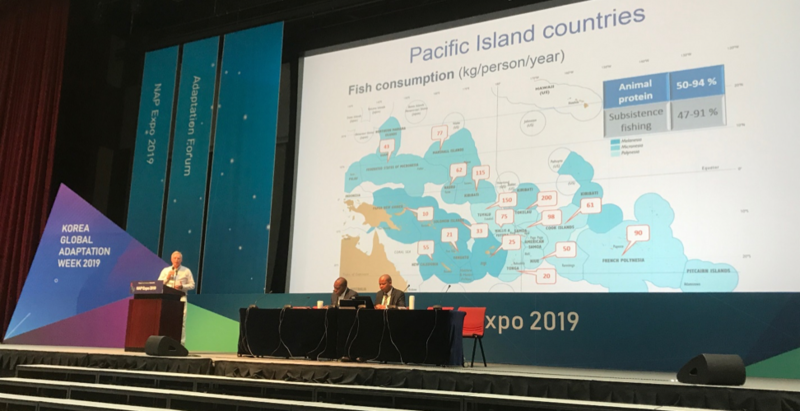 Despite the robust plans that Pacific Island countries have developed to sustain socio-economic benefits from the fisheries sector, a gap is emerging between sustainable harvest and the growing demand for fish for good nutrition. This gap is increasing due to degrading coral reefs from warming oceans and acidification brought by climate change. Both examples point to the importance of a NAP that is sector-compatible, one that facilitates the integration of climate change adaptation in a coherent manner at different levels. In the case of the Pacific Island Countries, the NAPs should include measures to address the potential impacts of climate change on tuna as highly migratory species. How can climate data science teams deliver useful data at climate change speed? Addressing climate change risks requires up to date and reliable data to inform effective adaptation response, that addresses the needs of the most vulnerable communities and systems. Developing countries have often cited difficulties of capturing data for quantitative assessment which hinders them in creating robust adaptation programmes. 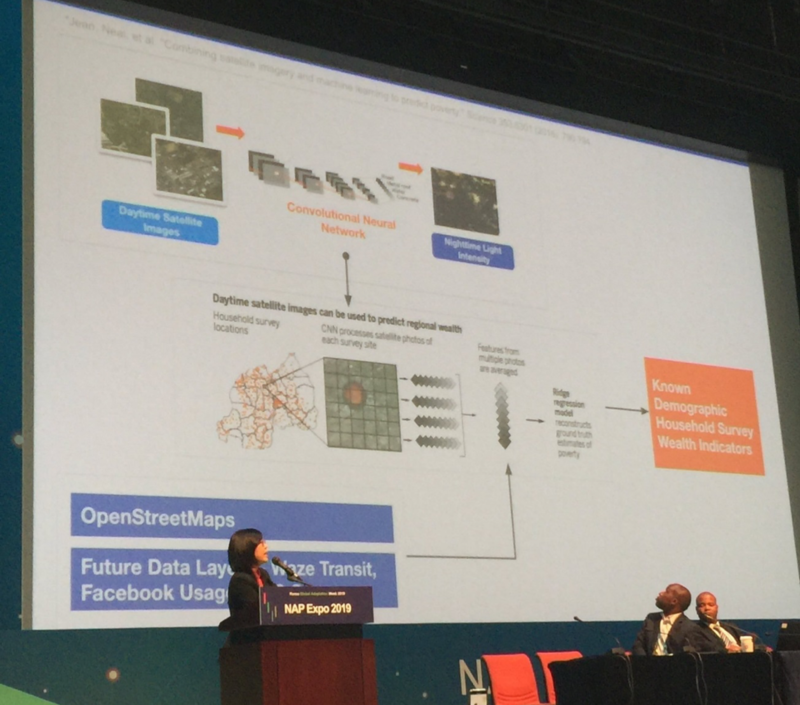 Ms. Stephanie Sy of Thinking Machines demonstrated the application of artificial intelligence (AI) in economic vulnerability assessment to enable human-centric adaptation planning and implementation (see details of keynote). A case study undertaken in the Philippines showed how AI was applied in granularly counting the poorest populations using a neural network combined with satellite imagery. This methodology was built on an approach that was first applied by the Stanford Sustainability Lab and was enhanced to better suit the specific characteristics of the area. The predicted results proved to have a relatively low margin of error, and came very close if not similar to the actual data, proving that AI can deliver results quickly at a very cheap cost compared to on the ground surveys. The same methodology applied for poverty mapping can also be applied to generate input datasets that are critical for climate change vulnerability assessments including generating building footprints; road networks; land use types, forest cover and crop yields. While AI allows for directionally accurate, remarkably fast and frequent monitoring and evaluation, this does not replace on the ground surveys rather augments it. The model also tends to bias itself hence need to understand inputs by example. 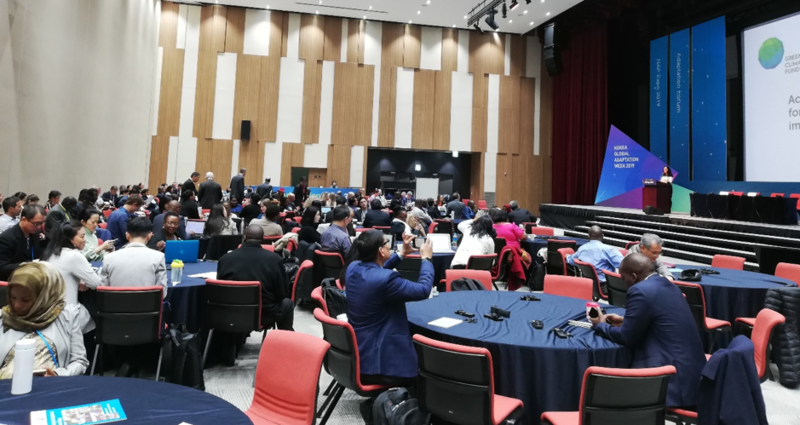 The Korea Environment Institute (KEI) developed the Model of Integrated Impact & Vulnerability Evaluation of Climate Change (MOTIVE) to evaluate the impacts and vulnerabilities of climate change to support the design of science-based climate change adaptation strategies. MOTIVE is an integrated assessment model that fully reflects national circumstances and can be used to establish realistic and effective adaptation plans based on cross-sectoral climate change impacts and vulnerability assessment. MOTIVE has been applied in health, agriculture, forestry, ecosystem, ocean/fishery, and water resources. All of these sectors partially included disaster components. MOTIVE has modules on detailed model and database of climate/non-climate spatio-temporal information; sectoral impact and vulnerability assessment; cross-sectoral assessment model of impact and vulnerability; integrated model of climate change impact and vulnerability assessment for objective policies and plans; and development and applications of risk predictive methodology. Activities connected with adaptation to climate change require spatially and temporally high-resolution information. The Climate Service Center Germany (GERICS) functions as a think tank for climate services in order to meet these information needs. It is currently involved in several research projects and activities to better understand and provide climate change projections at fine spatial resolutions and to develop and test models and tools for providing climate change information at a local scale. GERICS actively contributed to the preparation of IPCC Special Report on Global Warming of 1.5ºC. In addition, a great deal of scientific information in the context of the report and with regard to a global warming of 1.5 °C has been processed, and many new GERICS products have been developed. 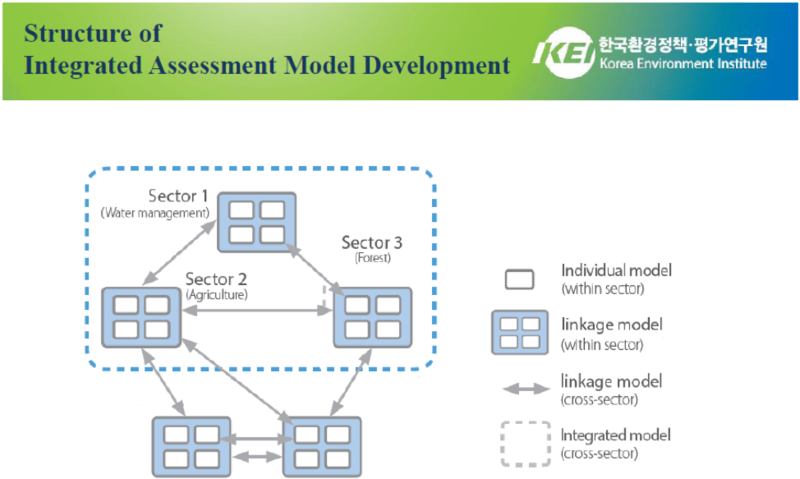 Figure 4: Structure of the integrated impact and vulnerability assessment mode. Source: KEI (2016) Model of integrated impact and vulnerability evaluation of climate change in South Korea. By following a systems approach, the NAPs provide opportunities for achieving the goals of the of the Paris Agreement along with other goals and targets under the 2030 agenda for sustainable development, Sendai Framework for Disaster Risk Reduction. They focus on the work that must be carried out to achieve the SDGs, along with other goals and targets, while taking an integrated systems approach. All established in 2015, the Paris Agreement, the 2030 agenda for sustainable development and the Sendai Framework present goals and targets to strengthen the global response to natural threats and hazards and to achieve a more sustainable future for all. A session on adaptation and development insights on the progress and experience of countries in developing and implementing roadmaps, strategies and plans on how national authorities together with civil society, the private sector, financial institutions, cities and other subnational authorities can achieve the goals and targets under the three agenda (see figure 5 below). Some countries have developed joint roadmaps for disaster risk reduction and climate change adaptation, while others are working on creating synergies between individual national plans for climate change and disaster risk reduction. In both cases. The session provided evidence of the value of institutional arrangements, capacity development and information sharing in enabling the coherence between the three global agenda. 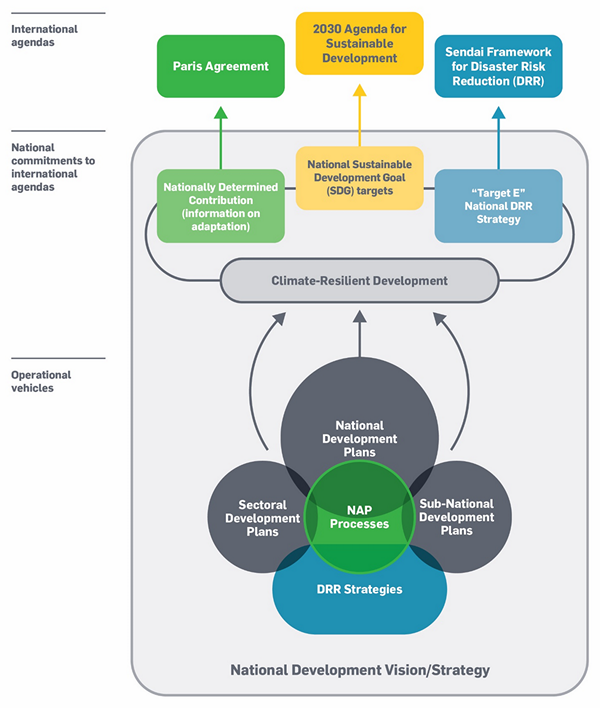 Figure 5: Mapping the Paris Agreement, 2030 Agenda for Sustainable Development and the Sendai Framework for Disaster Risk Reduction an country policy processes and strategies. Sources: Presentation by the NAP Global Network at the NAP Expo 2019. The Green Climate Fund conducted a series of sessions focusing on GCF support for the formulation of National Adaptation Plans and other adaptation planning processes, GCF support for the implementation of adaptation action, and sectoral dialogues engaging participants in conceptualizing strong climate rationale in adaptation projects and programmes. GCF representatives echoed the ongoing policy response by the GCF to catalyse action and finance needed to meet the ambition set by countries under the UNFCCCC intergovernmental process. The representatives communicated that the GCF is gradually reaching the goal of processing approval of two projects per month. The representatives also introduced the vision of GCF to ensure that funding reaches countries as soon as possible to address climate change needs and priorities. A representative from the World Resources Institute also acknowledged that there has been a disconnect between the community needs and the priority actions that were submitted for funding. In order to address this challenge the Fund has since simplified its application process with even more commitments towards capacity development so countries could develop sound proposals. There is renewed momentum within the GCF to engage with the private sector as a driving partner for adaptation. The guidelines for accessing funds urges countries to reach out to the private sector to unlock a new world of opportunities and capacities that are not available within the public sector. Acumen, an investment company that invests in companies that provide goods and services for the poor has seized the opportunity to partner with the GCF. The organization would invest “Patient Capital,” capital that bridges the gap between the efficiency and scale of market-based approaches and the social impact of pure philanthropy, in entrepreneurs bringing sustainable solutions to big problems of poverty. The GCF representatives indicated that the fund will be maximising grant funding projects that support innovation in new areas such as the role of technology in agriculture, water and water management and health. This opens more opportunities for organisations that are working at grass roots levels within the clientele, including other models of development such as public private partnerships. Finally, in sharing their experiences with the GCF, countries mentioned how a thorough consultation process with their stakeholders made it possible for them to develop sound project proposals which are either under review or have already been funded. The Kingdom of Tonga shared how using a local delivery partnered saved them project funds (8.5%) which will later be used to retain project staff at the end of their current project. In Antigua and Barbuda, a partnership between the Government and a local bank has introduced Home Lending Fund. The fund is accessed only by clients who wish to retrofit their houses with specific adaptation activities. Today’s work under the Open NAPs launched writing workshops for NAP teams to help them prepare peer-reviewed publications on their NAP outcomes, experiences and lessons learned, including from climate shocks. Representatives of countries discussed with the LEG and senior scientists present at the Expo on the design of an edited book to be published on the results on NAPs from developing countries. The LEG is inviting interesting developing country focal points and NAP teams to indicate their interest in contributing to the book, especially those that have submitted their or are in the final stages of production and have a draft outcome. The LEG is also inviting LDCs and other developing countries to indicate their interest in participating in Open NAPs. Open NAPs offer a space for demonstrating technical adaptation planning concepts, testing and developing new innovative approaches, and developing good practices, based on experience with real country situations. For more information, see session 1.5.